In Florida, July has always meant one thing: heat. Our summers are hot enough to cook an egg on the sidewalk and humid enough to turn the air into molasses. (Can anyone else relate?) I’ve been reaching for the ice cream in the freezer (and wishing I could live in that freezer) more times than I can count. Then again, if a little heat is the price I have to pay for an excuse to eat a whole lot of ice cream, July can keep at it. This past weekend, my frequent freezer visits ended up paying off. I finally got my room assignment for the dorm room I’m moving into this fall and all of my roommates were local, so we arranged to have a potluck lunch this past Saturday. I was asked to bring a dessert. I mulled over so many ideas while deciding what to pick; I couldn’t just decide on one thing and I really wanted to impress them. Thankfully, the answer came to me when I was reaching for the freezer door at the supermarket. It’s National Ice Cream Month, so there were (and still are!) a lot of great ice cream sales going on. I thought, why not throw together a recipe with my favorite frozen treat? After all, who doesn’t like ice cream? Step One: Gather your ingredients and preheat the oven to 400 degrees F. The ice cream needs some time to soften, so plan accordingly. Prepare a muffin tin with liners. Fun liners can be a great way to spice these up, especially if you’re making them for a special occasion! For my batch, I chose liners with multicolored polka dots. Step Two: In a large bowl, stir the ice cream until it’s melted. After that, stir in all the remaining ingredients. If you’re experimenting with sprinkles, candy, or any other sweet treats, stir those in too. The mixture will be on the thick side. 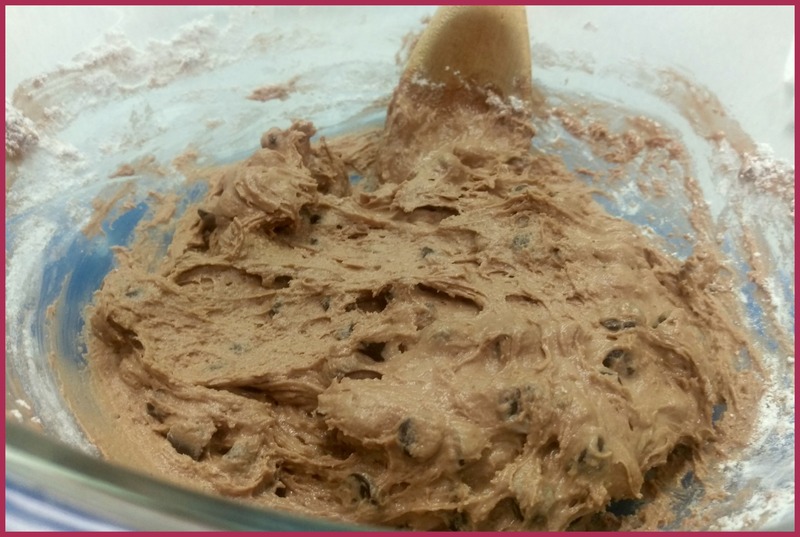 Be careful not to overmix or your muffins will end up tough! Step Three: Spoon the batter evenly into muffin tins. Bake them up for about 15-20 minutes (mine took 18 minutes) and voila! They were a total hit at lunch. One of my future roommates even told me that I should make these all the time when we moved in together. I might just end up taking her up on that offer – they were easy and tasty enough to make them a perfect anytime snack. 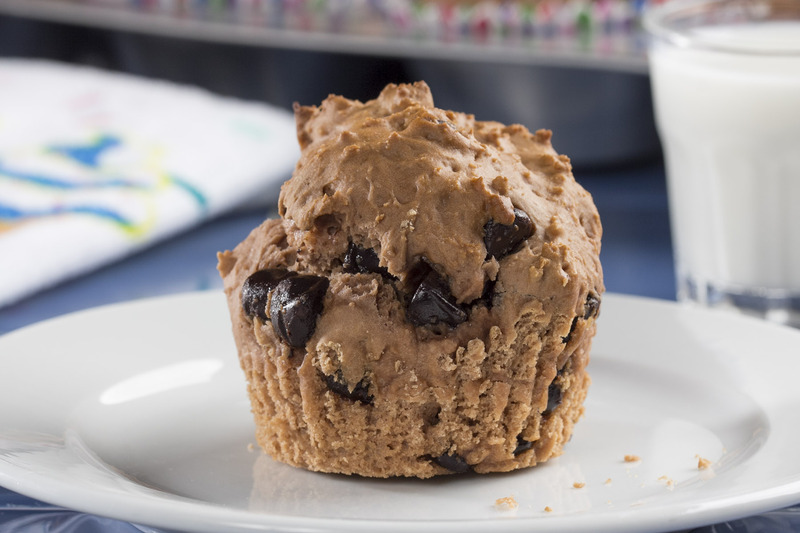 Unlike most muffin recipes, you don’t need a ton of ingredients to whip these up. All you really need to make a basic version is ice cream and a little flour. In fact, that might just be the second-best part of these muffins (the taste tops everything!). This conversation is sponsored by National Frozen & Refrigerated Foods Association. The opinions and text are all mine. 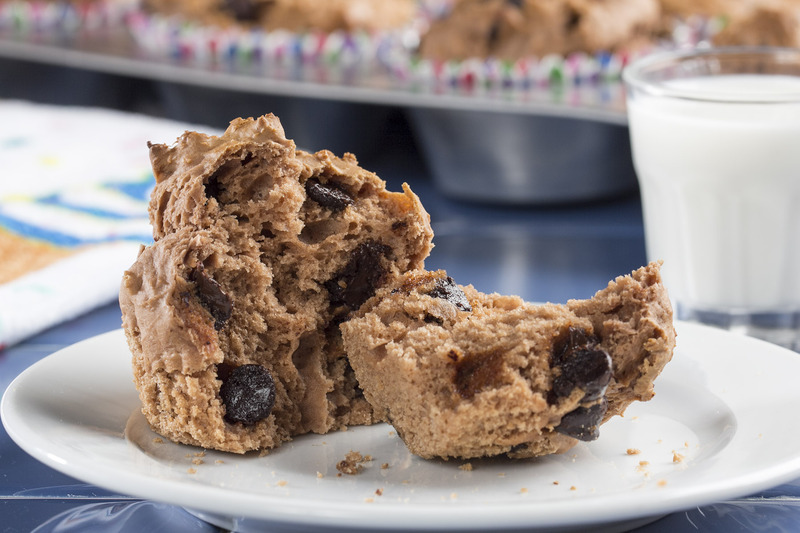 For more great after school snack recipes visit EasyHomeMeals.com or MrFood.com.